In films or literature, a McGuffin is a plot device that motivates some action by the main characters but has no bearing on the story. For example, in Psycho, after Janet Leigh dies early on in the famous shower scene, the other characters are pursuing the money she stole. However, the money has nothing to do with the action of the film, concerning Anthony Perkins’ lunatic character Norman Bates. A McGuffin is an irrelevant device to move a story along, usually a mystery. With that in mind, I was watching an old episode of McMillan and Wife, titled Night Train to L.A., starring Rock Hudson and Susan St. James. In this episode, a policeman was under suspicion of murder. 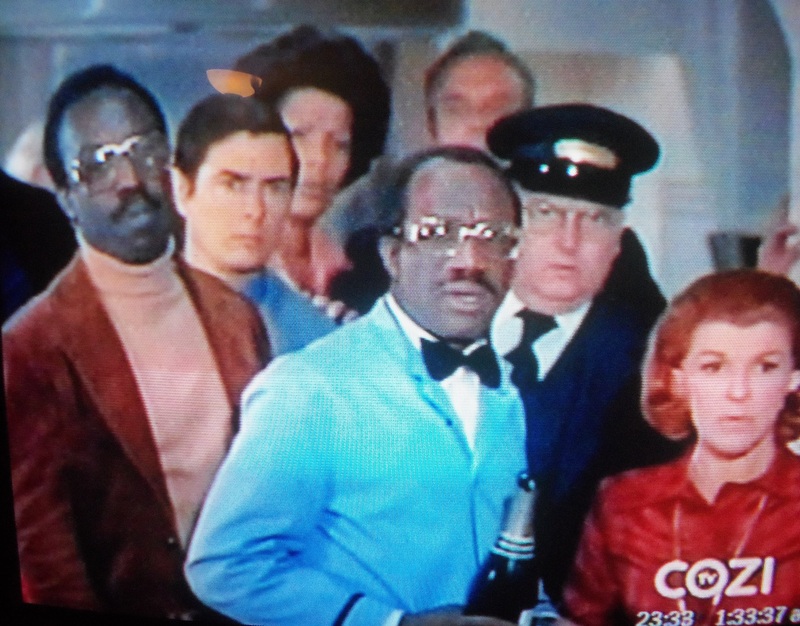 The episode took place on a train and I, being a savvy viewer, immediately suspected a twist coming up when I noticed that one of the minor background characters, a porter, was almost the spitting image of the suspect. I said “Aha! The murder was a setup! The porter wore the suspect’s clothes and shot the victim, them switched back to his uniform.” However, that never happened. The suspect was cleared less than halfway through the show and faded into the general mass of supporting players, and the minor background character remained a minor background character, having only a short comedy sequence with Nancy Walker later in the show. Look how much alike these two are. Large forehead and similar receding hairline. Similar mustaches. Same general shape of the head. Even the glasses are the same! They may not be twins, but close enough for some confusion. Why not only cast two actors who look so much alike, but then have them stand next to each other in the foreground a group shot, with the unimportant minor character dead center? McMillan and Wife was not sophisticated enough to try to fool the viewers that way, and never in the show was their similarity remarked on when it could have been an interesting plot point to explore. I was sure the lookalike porter was a McGuffin, to make me suspect a switch while the real killer remained a mystery, but that didn’t happen. McMillan and Wife is entertaining, if not particularly intelligent television, but I have to think that the producers of that show would notice something that is as plain as the noses on these guys nearly-twin faces.